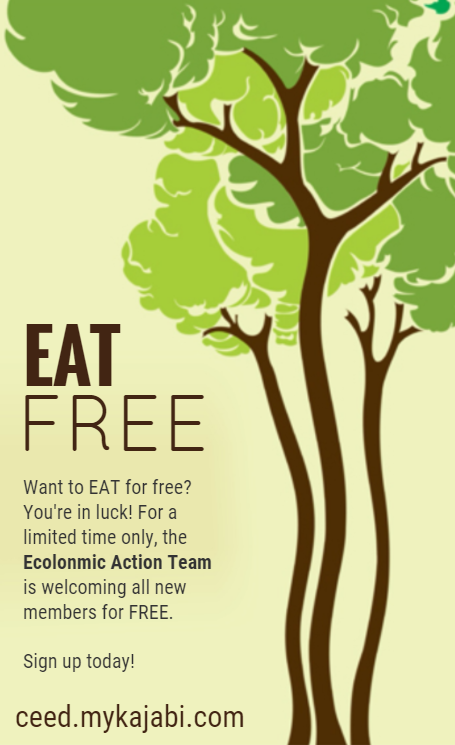 Enjoy growing your own food but are perpetually restricted by space? If you’re an apartment dweller or have a small yard, we’ve found the solution for you – Vertical Tower Gardens. The joy of growing food and planting can come very natural to some. But what if you are living in an apartment, condo or a building where it is practically impossible to grow things? Are constricting city spaces killing your passion to grow your own food? Well, you can thank those garden geeks out there who shares the same passion as you. They exist, and they put their brain power together to mix technology with nature. 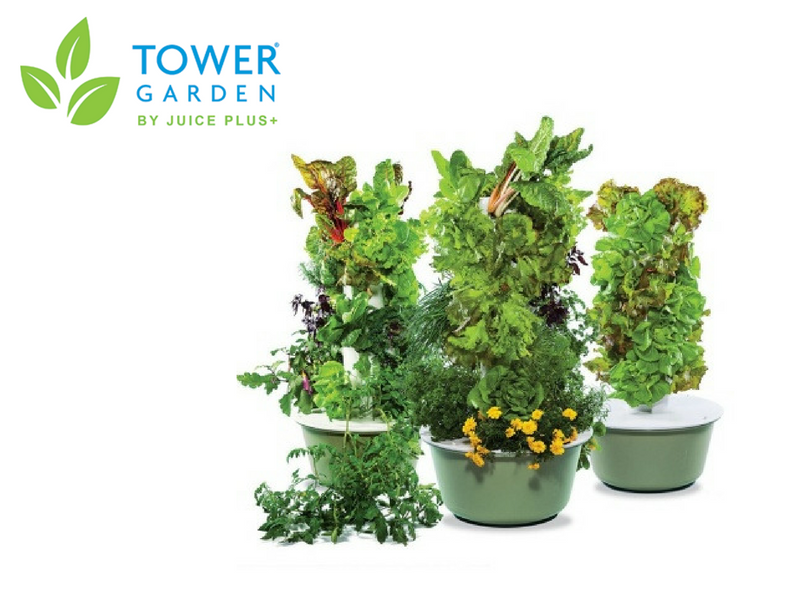 I give you “Juice Plus Tower Gardens” Voila! God bless our garden geeks! 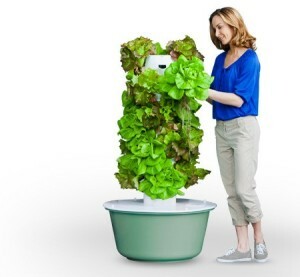 It was impossible to grow fruits and vegetables inside your home a decade ago. But now, Tower Gardens have simplified the traditional gardening using the unique Vertical Garden System approach. The idea of a vertical garden is a big hit because it creates more space for plants to grow with no soil required! Smaller homesteads can now grow . A vertical tower garden allows the finest plant growth, plus, look at the pictures! It’s PRETTY NICE to look at too! 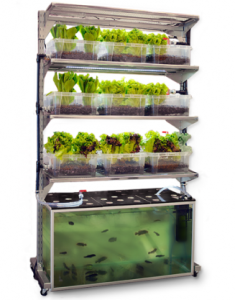 A vertical aquaponic system does not need soil to grow fruits and vegetables. It’s designed over a fish tank in a standing position. 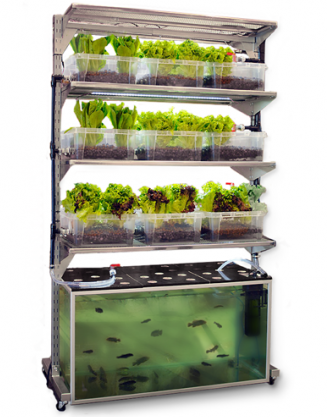 This system can produce twice the amount of growing plants and fruits than the traditional hydroponic system on the same amount of surface area. A 6-foot tower produces more than 200 heads of lettuce per year and requires a comparatively smaller fraction of water to grow the same crop in soil! I have a large detached garage would that work for growing aqua ponies system or tower garden. And what would I need to get started? Or would it be best for me to clear off some land that I have also and just grow it outside? Thanks for your query. Our team will contact you shortly. You can have a 30 minute free consultation with our experts. My name is Chris Mistak. I am a chef/blogger. I go by the moniker “The Mistaken Chef.” One area of interest of mine is gardening. This winter I plan on delving into indoor gardening. Although I will be doing quite a bit with common produce I will also be growing fruit trees indoors, with a focus on exotic fruit and vegetables that can’t be grown locally. I am currently looking for companies that might be looking to form a partnership. I will do company features as well as give the credit due to any company that might assist in my endeavor. Please check me out on Instagram and Twitter. I would like more information about this gardening system. This looks and sounds great. Love it and would love to test these systems in our communities. Can this be done without enclosing poor fish in a dark pot? Great article! I have a question: What fertilizers you use to growing carrot in aquaponic gardens?